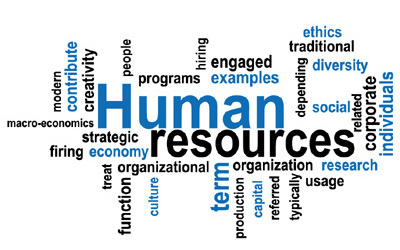 Human resources is a vital department regardless of what type of business you own, operate, or run. 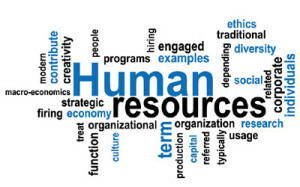 Human resources personnel handle and tackle a wide variety of different responsibilities, all of which help your business run more efficiently, lawfully, and can even keep your business out of hot water by keeping employees and management up-to-date on laws surrounding employer/employee relationships. Most people equate human resources with things like harassment in the workplace and employment terminations however the scope of their responsibilities is far greater than that. 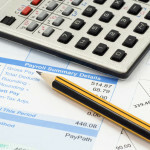 OC Accounting Services can Help you with all your Human Resources Needs While Saving you Money. As human resources is a crucial part of every business very few companies either big or small have no human resources department or some type of human resources personnel. The problem however, especially when dealing with smaller businesses is that employing human resources personnel can be costly and difficult as well. Finding individuals with ample experience in human resources is not always easy and in many instances those that are qualified to either run or work within the human resources department require a salary that falls far outside of a business’s budget. OC Accounting Services specializes in Human Resources and is devoted to helping your company. The good news however is that are now many independent freelance human resource services that businesses can take advantage of. Moreover many of the individuals whom offer independent human resource services are far more affordable than that of your typical employee. Generally speaking they’re also much more flexible with their services and more often than not will allow interested parties to customize their human resource services so that a business pays only for those services it needs. The popularity of independent human resource services has skyrocketed in large part due to flexibility and affordability but have also thrived due to the ability to hire independent human resource services on both full and part-time basis. The ability to hire an independent Orange County human resource service on a part-time basis allows a company to save even more money and negates the need to hire a full-time employee which is not always cost effective or even possible. 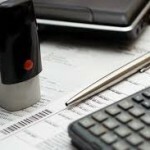 Start Saving Money by Hiring OC Accounting Services, Click here for a Quote! Much like the individuals who believe human resources deals with only terminations and harassment issues, independent Orange County human resource services generally include or cover a much wider scope of responsibilities. Some individuals offering independent Orange County human resource services such as the handling of employment applications as well as screening prospective employees and can tackle time-consuming responsibilities like reference checks and past employment checks. Many business owners have found that these individuals also offer services which allow for the creation and distribution of new hire packets, new employee orientation duties, the drafting of performance review forms, and of course termination packets. There are also Orange County human resource services that include the setup and maintenance of 401(k)s as well as health insurance renewals, terminations, and new sign-ups. Having Orange County human resource services available at fair prices with the option of a part-time or full-time employment makes finding a reputable and experienced Human Resources employee or contractor much easier than it ever has been in the past. Additionally most individuals who offer independent human resources services are far more experienced than that of your average applicant. In these difficult economic times all businesses are looking for ways to trim the fat and save as much money as possible. Though the human resources department is a department that should remain intact even in the most difficult financial times sometimes cutbacks must be made. Businesses that have had to go this route can take full advantage of somebody who offers independent Orange County human resource services and bring on a new team member whom they can trust to get the work done properly while at the same time saving lots of money. Ready To Save Money?? Click Here! This entry was posted in Human Resources Management, Orange County Accounting 411 Articles, Orange County Human Resources Specialist and tagged human resource, orange county human resources. Bookmark the permalink. ← What Are Clients Saying About Orange County Accountant Kaylene Spangler?